FILMED BY: MAC EYE CAMERAGRAPHY STARRING: NEHA X ABHISHEK FOR MORE INFO ABOUT US: Facebook : https://www.facebook.com/maceyecameragraphy/ Makeover : https://www.facebook.com/portrayal.makeover/ Wedmegood : https://www.wedmegood.com/profile/Mac-Eye-Cameragraphy-55397 Canvera : https://www.pickmyphotographer.com/kolkata/mac-eye-cameragraphy Instagram : https://www.instagram.com/maceyecameragraphy/ Youtube : https://www.youtube.com/channel/UCR5e6x859IPDGPISg1LtxWw Wedding.net : https://kolkata.wedding.net/photographers/1391027/ OFFICIAL WEBSITE : http://maceye.in Email : info@maceye.in Contact : (+91) 9851 415 158 | 9434 878 362 For better quality do watch in 1080p. FILMED BY: MAC EYE CAMERAGRAPHY STARRING: ANKIT x NISHA FOR MORE INFO ABOUT US: Facebook : https://www.facebook.com/maceyecameragraphy/ OFFICIAL WEBSITE : http://maceye.in Email : info@maceye.in Contact : (+91) 9851 415 158 | 9641 430 032 For better quality do watch in 1080p. Here we are sharing the journey with our lovely brides & grooms, So its time to remember the moments which you never want to forget. Enjoy your New Year with some unforgettable memories. FOR MORE INFO ABOUT US: Facebook : https://www.facebook.com/maceyecameragraphy/ OFFICIAL WEBSITE : http://maceye.in Email : info@maceye.in Contact : (+91) 9851 415 158 | 9641 430 032 For better quality do watch in 1080p. FILMED BY: MAC EYE CAMERAGRAPHY STARRING: PRIYA X RAJIB FOR MORE INFO ABOUT US: Facebook : https://www.facebook.com/maceyecameragraphy/ Makeover : https://www.facebook.com/portrayal.makeover/ OFFICIAL WEBSITE : http://maceye.in Email : info@maceye.in Contact : (+91) 9851 415 158 | 9434 878 362 For better quality do watch in 1080p. FILMED BY: MAC EYE CAMERAGRAPHY STARRING: AVRADEEP & TANUSHRI FOR MORE INFO ABOUT US: Facebook : https://www.facebook.com/maceyecameragraphy/ Makeover : https://www.facebook.com/portrayal.makeover/ OFFICIAL WEBSITE : http://maceye.in Email : info@maceye.in Contact : (+91) 9851 415 158 | 9434 878 362 For better quality do watch in 1080p. FILMED BY: MAC EYE CAMERAGRAPHY STARRING: INDRANIL & CHANDRIMA FOR MORE INFO ABOUT US: Facebook : https://www.facebook.com/maceyecameragraphy/ Makeover : Surajit Karmakar OFFICIAL WEBSITE : http://maceye.in Email : info@maceye.in Contact : (+91) 9851 415 158 | 9641 430 032 For better quality do watch in 1080p. FILMED BY: MAC EYE CAMERAGRAPHY STARRING: NAZRANA & ASIF FOR MORE INFO ABOUT US: Facebook : https://www.facebook.com/maceyecameragraphy/ Makeover : OFFICIAL WEBSITE : http://maceye.in Email : info@maceye.in Contact : (+91) 9851 415 158 | 9641 430 032 For better quality do watch in 1080p. FILMED BY: MAC EYE CAMERAGRAPHY STARRING: ARPITA & ARCHISMAN FOR MORE INFO ABOUT US: Facebook : https://www.facebook.com/maceyecameragraphy/ Makeover : https://www.facebook.com/portrayal.makeover/ OFFICIAL WEBSITE : http://maceye.in Email : info@maceye.in Contact : (+91) 9851 415 158 | 9641 430 032 For better quality do watch in 1080p. FILMED BY: MAC EYE CAMERAGRAPHY STARRING: SOUVIK & SOUMITA FOR MORE INFO ABOUT US: Facebook : https://www.facebook.com/maceyecameragraphy/ OFFICIAL WEBSITE : http://maceye.in Email : info@maceye.in Contact : (+91) 9851 415 158 | 9641 430 032 For better quality do watch in 1080p. 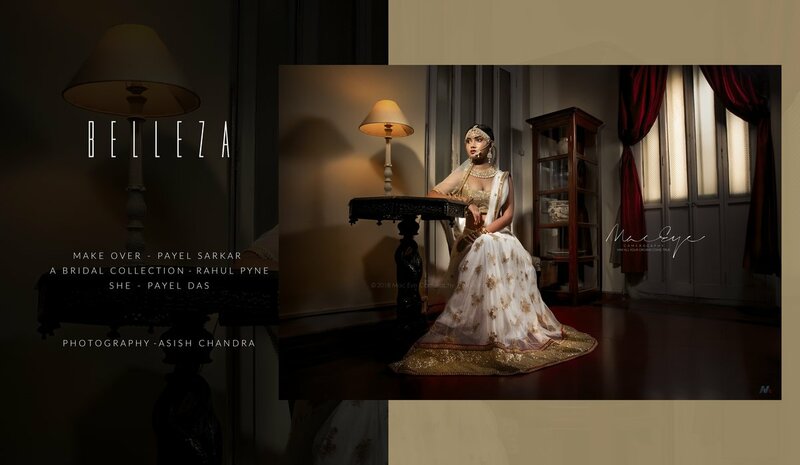 FILMED BY: MAC EYE CAMERAGRAPHY STARRING: ASIF & NAZRANA FOR MORE INFO ABOUT US: Facebook : https://www.facebook.com/maceyecameragraphy/ Bridal Makeover : Makeup Artist Mukulika Reception Makeover : sneha's winged dreams - grooms u tip 2 toe OFFICIAL WEBSITE : http://maceye.in Email : info@maceye.in Contact : (+91) 9851 415 158 | 9641 430 032 For better quality do watch in 1080p. FILMED BY: MAC EYE CAMERAGRAPHY STARRING: PURBA & NILOTPAL FOR MORE INFO ABOUT US: Facebook : https://www.facebook.com/maceyecameragraphy/ Makeover : https://www.facebook.com/portrayal.makeover/ OFFICIAL WEBSITE : http://maceye.in Email : info@maceye.in Contact : (+91) 9851 415 158 | 9641 430 032 For better quality do watch in 1080p. FILMED BY: MAC EYE CAMERAGRAPHY STARRING: ARPITA & DWAIPAYAN FOR MORE INFO ABOUT US: Facebook : https://www.facebook.com/maceyecameragraphy/ Bridal Makeover : Aviz Makeover Reception Makeover : https://www.facebook.com/portrayal.makeover/ OFFICIAL WEBSITE : http://maceye.in Email : info@maceye.in Contact : (+91) 9851 415 158 | 9641 430 032 For better quality do watch in 1080p. FILMED BY: MAC EYE CAMERAGRAPHY STARRING: SWAGATA & SOMSUBHRA FOR MORE INFO ABOUT US: Facebook : https://www.facebook.com/maceyecameragraphy/ Makeover : Surajit Karmakar OFFICIAL WEBSITE : http://maceye.in Email : info@maceye.in Contact : (+91) 9851 415 158 | 9641 430 032 For better quality do watch in 1080p. FILMED BY: MAC EYE CAMERAGRAPHY STARRING: TANMOY & ATASI FOR MORE INFO ABOUT US: Facebook : https://www.facebook.com/maceyecameragraphy/ Makeover : https://www.facebook.com/portrayal.makeover/ OFFICIAL WEBSITE : http://maceye.in Email : info@maceye.in Contact : (+91) 9851 415 158 | 9641 430 032 For better quality do watch in 1080p. FILMED BY: MAC EYE CAMERAGRAPHY STARRING: PUJA & NISHAN FOR MORE INFO ABOUT US: Facebook : https://www.facebook.com/maceyecameragraphy/ Makeover : https://www.facebook.com/portrayal.makeover/ OFFICIAL WEBSITE : http://maceye.in Email : info@maceye.in Contact : (+91) 9851 415 158 | 9641 430 032 Music Credits : Love Me Like You Do (From "Fifty Shades Of Grey") - Ellie Goulding MAST MAGAN - ARIJIT SINGH | CHINMAYI SRIPADA Navrai Majhi - Natali Di Luccio For better quality do watch in 720p. FILMED BY: MAC EYE CAMERAGRAPHY STARRING: PUJA & NISHAN FOR MORE INFO ABOUT US: Facebook : https://www.facebook.com/maceyecameragraphy/ Makeover : https://www.facebook.com/portrayal.makeover/ OFFICIAL WEBSITE : http://maceye.in Email : info@maceye.in Contact : (+91) 9851 415 158 | 9641 430 032 For better quality do watch in 720p. ENGAGEMENT TEASER OF - SOUVIK & SOUMITA STARRING: SOUVIK & SOUMITA. Editing : Asish Chandra & Sudip Sahu Cinematography : Asish Chandra & Sudip Sahu Makeover : Portrayal Makeover For better quality do watch in 720p. FILMED BY : MAC EYE CAMERAGRAPHY STARRING : SHARMISTHA & SUMAN FOR MORE INFO ABOUT US: Facebook : https://www.facebook.com/mac.asishchandraphotography/ Makeover : https://www.facebook.com/portrayal.makeover/ OFFICIAL WEBSITE : http://maceye.in Email : info@maceye.in Contact : (+91) 9851 415 158 | 9641 430 032 For better quality do watch in 720p. We are a professional photography services company based in Kolkata . We have been running a professional photography business for 3 years, specializing in Wedding, Pre-wedding Shoots, Destination Wedding, Candid Wedding, Hindu Wedding, Christian Wedding, North Indian Wedding, South Indian Wedding, Couple Portraits, Engagement, Reception, Marwadi Wedding, Bengali Wedding, Brahmin Wedding, Bridal Portraits, Babies & Kids and Kids Portraits photography. We undertake customized photography requirements. Some of our products and services include Shortfilms, Promo Videos and Calendar. We provide services in West Bengal. We are proficient in English, Bengali and Hindi. Their are excellent! Very good. It has been a wonderful experience with Mac Eye. We are happy. I have already recommended them to my friends who are getting married this year. Got my full pre-wedding and wedding photography and videography done...Very Hardworking team ... Good team to work with.. excellent output... Will be looking forward for more good works in future... All the best!! These guys are the best at what they do. Especially their videos. You can check their Youtube channel for proof. We would like to thank MacEye for their wonderful work. Everyone likes to have a memory they can cherish for their lifetime and they gave us that. The creativity in terms of direction or editing is top-notch. Thanks for the awesome make-over as well. Keep it up! May MacEye achieve tons of success in the future. Great captures and videos. Liked very much their work. Full video is also awesome. They covered our Engagement function also, and that was also very good. Keep up good work. Mac eye provides elite class photography at very reasonable price. They deliver edited copy photos within the time limit that they give to the customer. Being a customer I'm satisfied by their warm behavior and wonderful work. They are simply awesome. Very friendly and good natured. Even very patient when you can't pose haha ???? very good experience with them. I wish them all the very best for their future projects. Your message was successfully sent to Mac Eye Cameragraphy. The Photographer may contact you soon.